To celebrate you, the fans, we’re calling upon our most passionate gamers to show us their best moves, with the first place winner’s dance created as an emote in Fortnite! It’s easy to enter - simply take a video of you (or your friends) boogie-ing down and share your submission on Twitter, Facebook, or Instagram with #boogiedown. The contest begins right now and will run until April 10. All entries must be submitted during the contest period. You can see the full rules here. We will be judging each submission based on three different criteria. 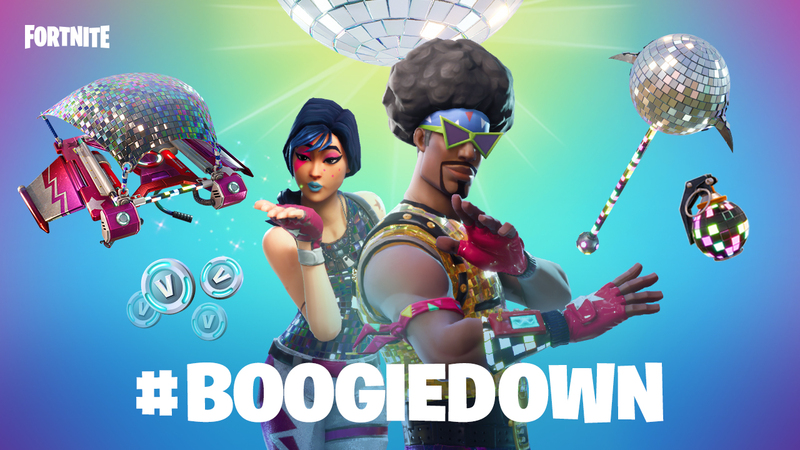 Does your dance fit the playful personality of Fortnite? How unique and imaginative is your dance? 100 Winners, One Grand Prize. Will you claim Victory Royale? Your dance is created as an emote in Fortnite Battle Royale! IRL Boogie Bombs made by @RayGunProject. For more details, be sure to check out the official contest rules.